When Rocky fell on hard times, instead of giving up he chose to better himself through better health and fitness. 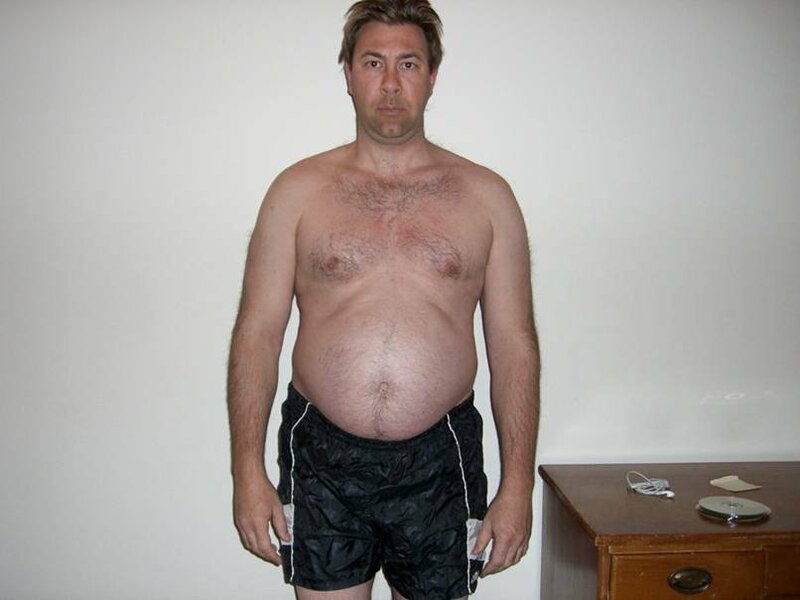 Read on to see how he got back on his feet and shed 57 pounds. In 2008 my family and friends lost multiple six-figures and I personally lost much more in one of the largest Arizona Ponzi schemes on record. It was operated by a close friend of 18 years and his business partner. I lost my beautiful Arizona home along with everything else. I had just separated from my church of 17 years and had many emotional scars. Because of the rough economy in Arizona, I took work in Vancouver, Washington. I stayed with a friend who ended up moving out two weeks later due to the foreclosure of his home. I stayed (I lived there for one year) and worked several jobs. I was alone, emotionally hurt, confused and frustrated. I ended up in a deep dark depressed place in my life - one notch from suicide! In February of 2009 I made a decision to change the one thing I had control over: my health and fitness. I set my goals, made a plan and then committed to it! Three and a half months later I had lost 43 pounds of fat gained 15 pounds of muscle; I had transformed my body and mind! July 2009 I accepted a better job in my home state of Idaho and was offered a place to stay with my brother. Little did I know, the studio apartment I was to stay in was my brother's backyard tree house. Although fully enclosed, slightly insulated and with electricity, it was still a tree house. I lived there for almost a year. Little did I know, the studio apartment I was to stay in was my brother's backyard tree house. My brother would laugh with his friends, "Yah, my brother went from eight-million to my tree house!" I remember a cold night in January when I awoke at 1 o'clock in the morning just freezing. My brother was actually still up, so we both wrapped the bottom part of the tree house with a blue tarp. The next morning on the way to work, I noticed a bank sign read -5 degrees. And that didn't include the wind chill. No wonder I was cold. 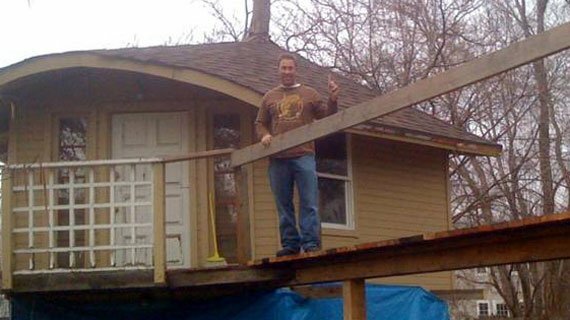 I was livin' in a frickin' tree house! During this time my finances and investments improved. 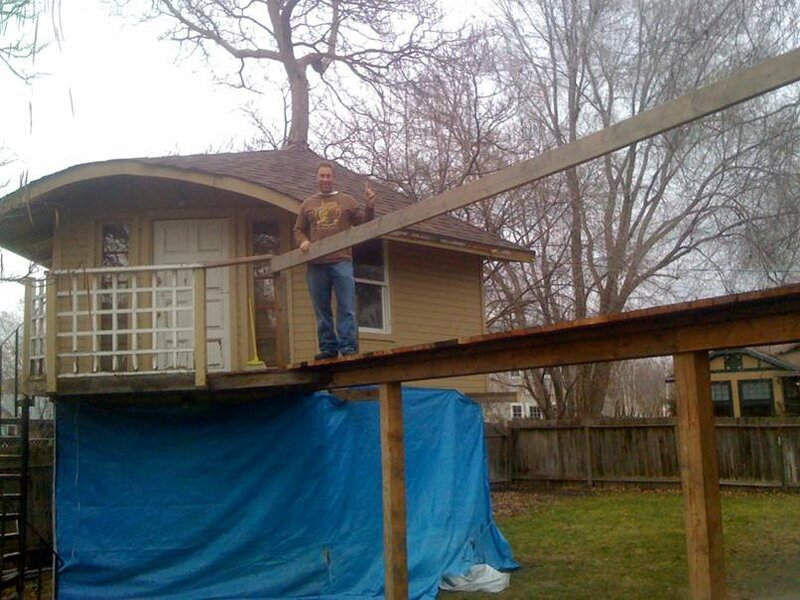 In the summer of 2010 I said farewell to the tree house and got my own place. At last I felt I might be getting my life back. Then, my wife, who had been staying with her folks back in Arizona, let me know that she would not be joining me. In fact, I suffered an unwanted divorce. I had little to no support from family. 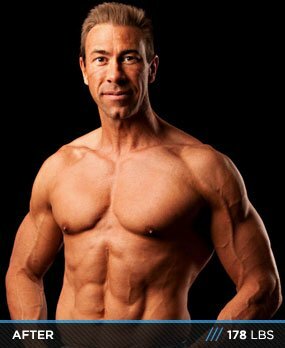 At this, the second most difficult time of my life, I decided to take my body to a place I had never been before ... a low single-digit body fat and abdominal vein. With the direction of a trainer, I went from 12% to 4% body fat in 7 weeks! I accomplished this life-long goal on December 17, 2010 ... my 41st birthday! Vascularity was everywhere! I felt amazing and so blessed to have obtained one of my biggest personal dreams, especially at such a difficult time in my life. 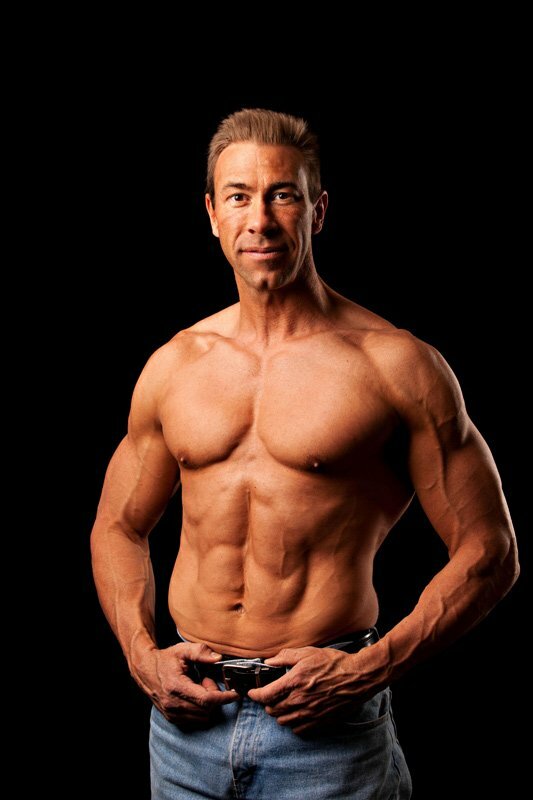 I decided to take my body to a place I had never been before ... a low single-digit body fat and abdominal vein. I made a decision to change. I put together my own contract and signed it. I set a start and end date. I took those highly depressing, relaxed and natural "Before" pictures. I got rid of all the sugary, salty, fattening foods and replaced them with all good food, meal-replacement drinks and supplements. I precooked all my meals and put them in containers (I made a killer turkey chili!). I also wrote down everything I ate. I put together a resistance and cardio plan, and I re-enrolled at 24-hour Fitness. 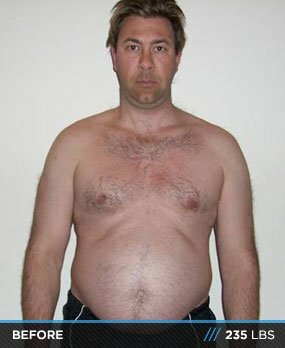 My inspiration was and is my "Before" picture; I never wanted to go back there. I made a decision to change. I put together my own contract and signed it. Smile! It will brighten your day and takes fewer muscles than a sad frown. Be grateful for ALL you do have and focus on the positive. Just believe that things happened for a reason and keep a positive mental attitude toward your situation. Make sure you have fun and enjoy the journey you are on. Mix up your workouts every 4-6 weeks to keep that incredible body of yours guessing. If somehow or some way through this simple article I have inspired or encouraged you, I'd LOVE to hear from you. Blessings to you ... Rocky!